 From 2014-2017, the Balboa Reservoir Community Advisory Committee and community members developed guiding principles for the site and worked with City agencies to select a development team. As the selected development team, the Reservoir Community Partners’ role is to come alongside this established community process and work closely together to develop a physical master plan for the site. Through February 2018, we led four master plan workshops with the CAC to review specific aspects of our initially proposed development master plan, engage in comprehensive discussions about how the initial proposal addresses the Balboa Reservoir Principles and Parameters, and receive input and guidance from the CAC and members of the community that will improve our proposal. We hosted a Community Reservoir Site Walk in early December 2017 and held two Community Open Houses in April 2018. During the rest of 2018, Reservoir Partners will be hosting additional opportunities for community input shown in our Upcoming Community Meetings Calendar. In addition, Reservoir Community Partners is continuing to attend neighborhood organizations’ meetings and events and engage in small group discussions with interested community members. If your neighborhood group or organization would like to meet with us, please let us know.